In the theological sense, a cult is a group which is part of a broader faith tradition but deviates from it on a number of essential points. Mormonism is a non-creedal form of Christianity in which most of the traditional Christian doctrines are rejected. Likewise, several distinctively Mormon doctrines are rejected by most Christian churches. This qualification has nothing to do with the truth claims of either Christianity in general or Mormonism in particular. Rather, it is an assessment of the relationship between the two. > Click here to read about the relationship between Mormonism and Christianity. In the sociological sense, there is no strict boundary between churches and cults. Instead, sociologists look at the degree to which religious groups exhibit church-like and/or cult-like characteristics. Such characteristics can vary in time and place. For instance, a cult may develop more and more church-like characteristics over time, or vice versa. It’s also possible that a group displays more church-like characteristics in one geographical area and more cult-like characteristics in another. 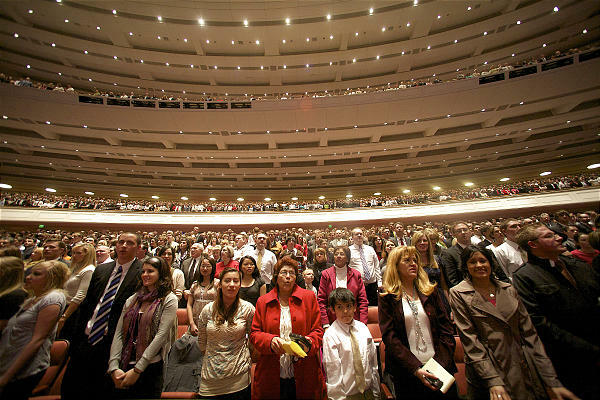 Both in time and place, the Mormon church mainly exhibits cult-like characteristics. > Click here to read about the sociology of religious organisations. In the psychological sense, a cult is a group that exerts far-reaching, one-sided influence on the emotions, thoughts and behaviour of its members through the application of manipulative processes and authoritarian structures. Most internet articles about cults are about these psychological effects. The Mormon church exerts a strong, manipulative and one-sided influence on its members and this is embedded in a deeply authoritarian, hierarchical structure. > Click here to read about the psychological effects of the Mormon church on its members.